Here's my card for the Less is More Challenge week 115 - a ONE LAYER card inspired by a FILM. This is a great theme but what to do. I did think of Diamonds are Forever but I think I've overdone diamonds recently (see last 11 posts!!). My children suggested Startrek: Deep Space Nine and then Mary Poppins - I was struggling to see how I could change my Brolly Man stamp into Mary Poppins. So then I thought The Colour Purple - my first attempt was Dusty Concord but that went in the bin, so I've chosen The Mask and used green!! 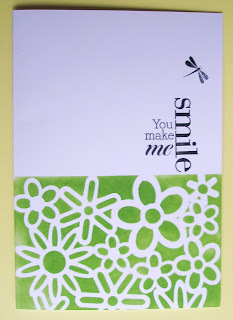 I masked off the top half of the card and then blended Mowed Lawn Distress Ink through a flowery That Special Touch mask. I've just added a Hero Arts sentiment and dragonfly from the same set. No idea why I chose The Mask, other than masking is a good technique for one layer cards. I hate the film and the actor...whose name escapes me ...and I hate him in Ace ventura too!! Never mind, the sun is out and Spring may be on it's way!! Thanks for looking!! 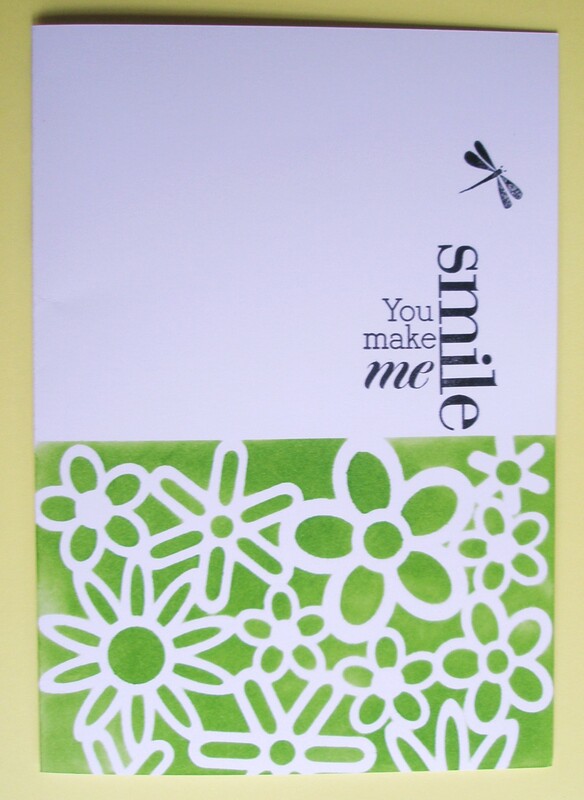 I like your card, the green colour and the dragonfly too!